There is a fantastic vidéo and 912 fan approach ! 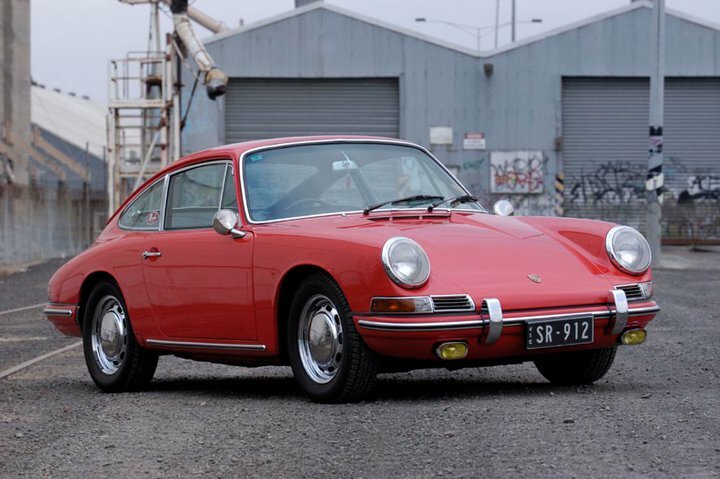 I am searching my first Porsche and I would really like to meet Julien to have advice and discuss the opportunity to restaure à 912. Could I have the chance to connect with him thanks to the site ? Julien, could you tell me where it was filmed outside Paris? I’m desperate to find some nice, not crowded, roads around Paris, preferably on the eastern side, where I could “play” with my 87′ e28. Hey Vincent, we shot those scenes at a place called the “17 turns” not far from Montainville. Yes most of the roads we shoot are in the lower part of the “Yvelines”. 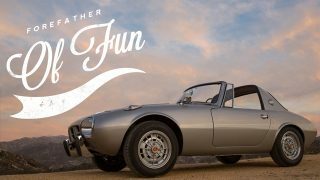 Another great video of a fantastic classic! …BTW, by the way you look, I cannot but see you as a french Marcus Walker 😉 ! 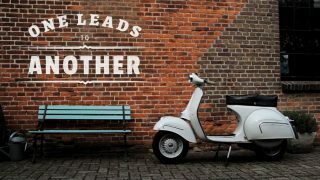 that’s the worst I can hop for you… becoming the 912 guru ! and I hope to see you at our next 912club meeting Olivier. 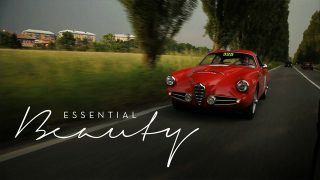 Fantastic video – I am glad to see that Petrolicious made it all the way to Paris ! Julien, congratulations for keeping the passion alive. 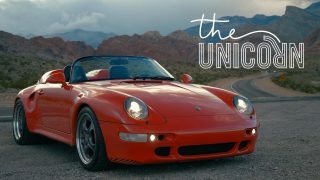 I would love to come and visit your workshop and then maybe go for a drive in another descendant of the 356, my 2004 boxster S.
I noticed a really cool shirt you had on that looks like the you on the front of it. Are those for sale? I’d love to purchase one to wear here in the USA. Sorry the history can be found at Pompolo Design. Just click on the article. Here is some history about Porsche’s experimentation with a four cylinder over head cam engine for the 912 and why they didn’t follow through at that time. I have one in my car and Kevin Lynch will soon. It appears we will see a turbo 4 in the not to distant future. Early 911 engines are 1,991cc, so TJ Martin’s “opinion” that the 912 was constructed to avoid a tax on 2,000ccc and larger engined cars is ridiculous. Excellent. 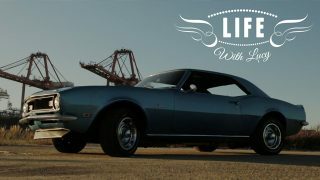 Car, video, and spirit. Very nice vid! The shot starting from 5:55 at the Louvre roundabout reminds me of the movie “The Belgrade Phantom”, in which someone makes fun of the police by driving a 911 Targa round the Slavija square in Belgrade during Tito’s Dictature. Nice ride, Julien. Your commentary makes me want to go out and buy one myself. Stunning video! Reminds me of Claude Lelouch’s C’etait un Rendezvous. Keep up the great work. Thanks Fernando! Rendezvous is a great film and was definitely an influence! Sorry if I was wrong or incorrect about the 912 history. I had never heard of this version of the story before. Actually according to Harald Wagner (head of Porsche sales at the time) it was created because of the massive price jump (over 50\%) between the outgoing 356sc and the new 911. Which is clearly the reason the 912 outsold the 911. You are not wrong. The view above is a complete fabrication to gain attention. The 356 line never had a ‘basement’ to start! 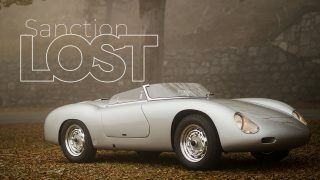 As a 356 and 911 driver – both sold from the oldest franchise outside of Germany – the story you quote in this excellent work is true. Do not waste your time in doing any investigations… Neko. 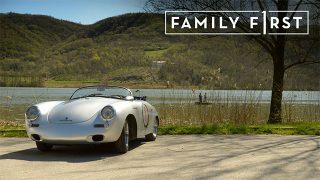 Hello.Just saw the video and saw myself into your sensitivity towards the 912.I feel the 912 just it hits the cords of a petrolhead with minimum technical conscience rather than perceived truths via economic expense.My compliments for your presentation and for the commercial idea…and for your car.Where exactly are you located and what is the name of the shop?Having relatives between Versailles and Paris I’d surely come,if the opportunity comes,and distract you from your work. In all honesty, I though of the 912 as a black sheep in my younger days. “What, a 911 with only 4 cylinders?!”. However, as I’ve grown slightly older and have come to realize that a car’s worth isn’t measured in horsepower or the amount of cylinders, the 912 seem like a very interesting car. The modifications done to this one are excellent and the video itself is, as always, excellent. The same feeling here in this clip. Keep the 912 spirit alive!! Julien, your English is impeccable! Kudos. Best piece in a long time! Lovely variety. Not just because I’m a black sheep owner either. Noticed some stylistic differences in this piece. Was it shot or edited by someone else or are you just changing up a bit? Brilliant video as usual, though, top work! Great video! One of the best in a while. 912…The body of a 911 & the soul of a 356. Dear HIP Deluxe. Please see photograph below of a three-gauge Polo Red 912. It is in the same jurisdiction as the photograph you posted, but perhaps 25 years ago. If not for the useless passenger side mirror, I would have thought they were perhaps different cars. But quite possibly we’ve posted photographs of the same car… Is yours three-gauge? If so, is your body number under just under 700? Excuse me please, but that would be one neat internet coincidence! Neko. Was having difficulties trying to view earlier today, but now all is good. My favorite 912 is 1969, only year of LWB (Long Wheel Base) early body with flairs like Julien’s modified ’67. 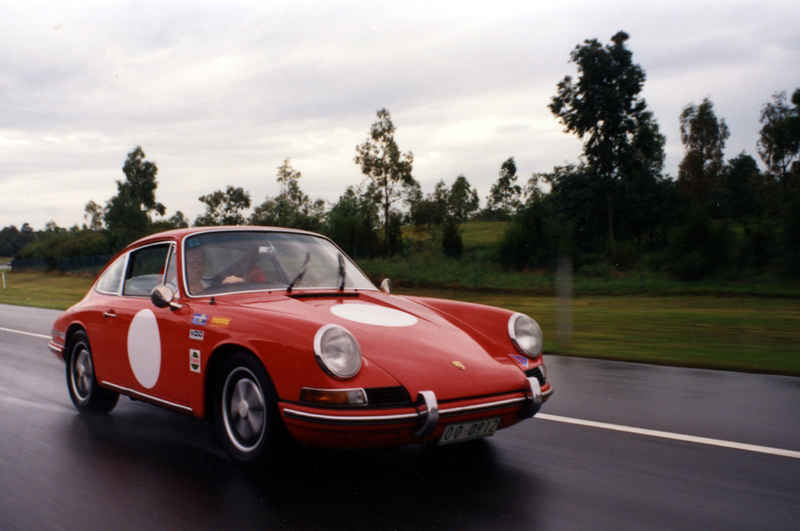 The handling is definitely more balanced in an early 912 compared to an early 911. What is missing though is the wonderful 911 6-cylinder torque. But definitely, I love those 69′ flares !! Sorry for the technical difficulties… should be good to go! are you referring to a type 4 motor? because those were heavy and underpowered. And by the way, the early 912’s had more power than the 912e. The only thing the E model had that would be better is the galvanized body, and Im not even sure all of them were. The 1600 356 engine is a very stout engine, just extremely expensive to rebuild. Im not sure if that comment was directed towards me but I was referring to SAE numbers and I think you were referring to the DIN. Has anyone else found that the video is set to private? I started it earlier but had to re-boot, now I can’t view it. I just love the old skool rebuilds and shops and most of the the old skool craftsmanship! 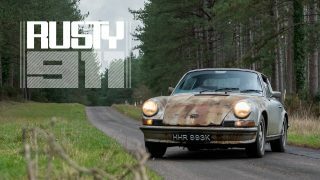 Julien, I think you’ve done an amazing job on the rebuild of the 912, and I too am jealous of those beautiful country roads with the single lane twisties. I think your doing Porsche a great service bringing these 912’s back to life. Thank you for that Julien. Let me know when you plan on coming over. Very rad, Julien. Props on a solid build. Love all the mod touches to the interior. You’ve got dope style. Fabulous video, great footage of those country roads, and love the story. I am a Porsche-file, and a 912 fan, with two in build mode at present, one fairly original, or “As It Was”, and one fairly renegade, or “As It Could Have Been”, this piece just hit the mark. Thanks for your passion. A very enjoyable video. A cool dude with a cool beard and a cool car. Unfortunately, I now want a 912. 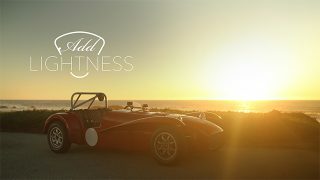 Thanks a bunch Petrolicious! Agreed, and I’m also jealous of those traffic free French country roads again. Most of the time, if you want to get clear country roads, you have to go much further away from the city.